OK, so maybe my blog title is less than a year old, but this blog (originally Recipe Rhapsody) is now two years old! Last year at this time I did a top ten for both your favorites and mine, and I thought it would be fun to do it again, this time just looking at the past year. First, here are your favorites, based on the number of views this year. 10. 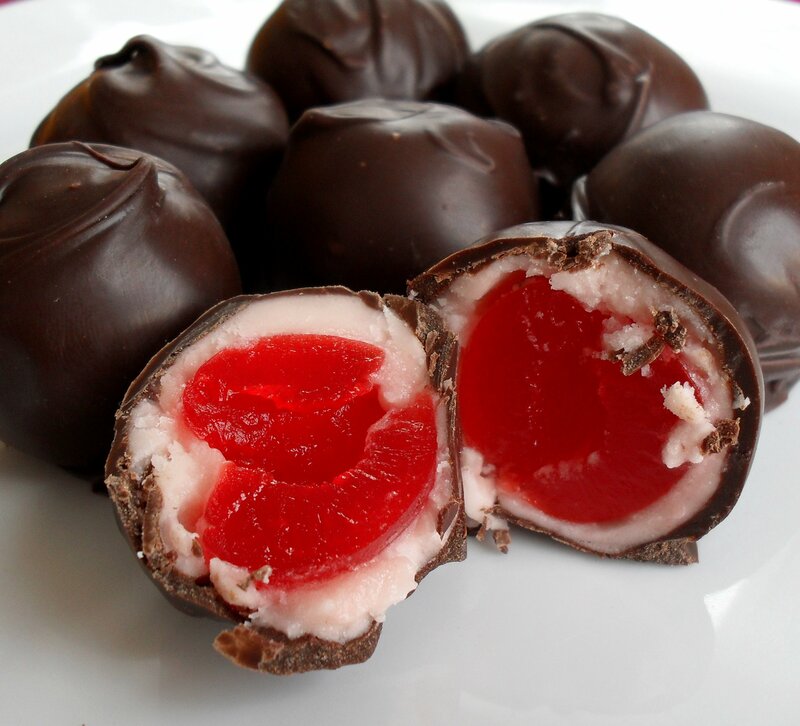 Cherry Cordials (Chocolate-Covered Cherries). I first made these for Dennis for Valentine’s Day two years ago, and I repeated the gift this year since he liked it so well. 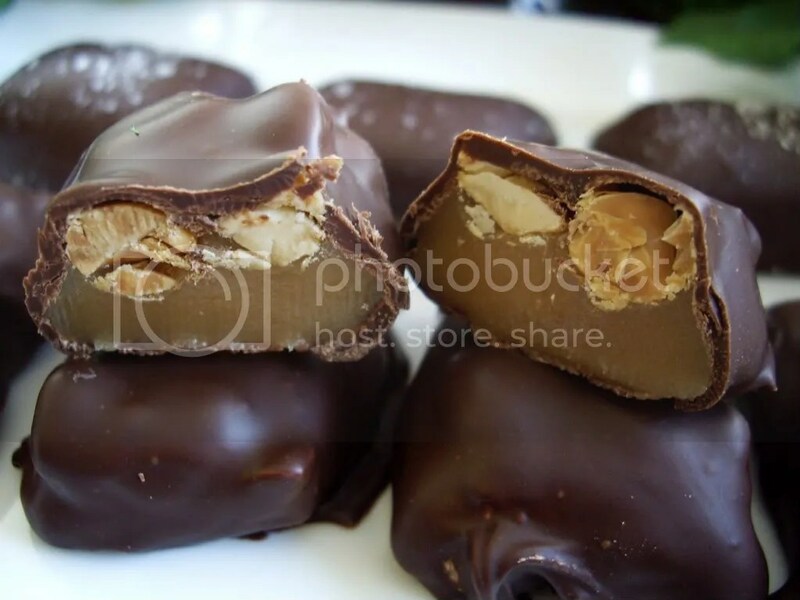 Homemade candy is so much better than store-bought! 9. 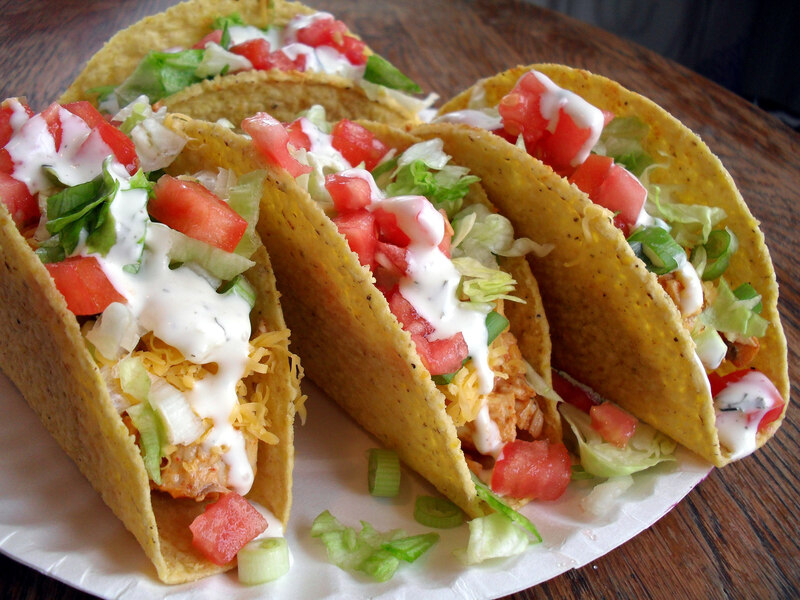 Chicken Ranch Tacos. Such a simple and tasty meal! 8. 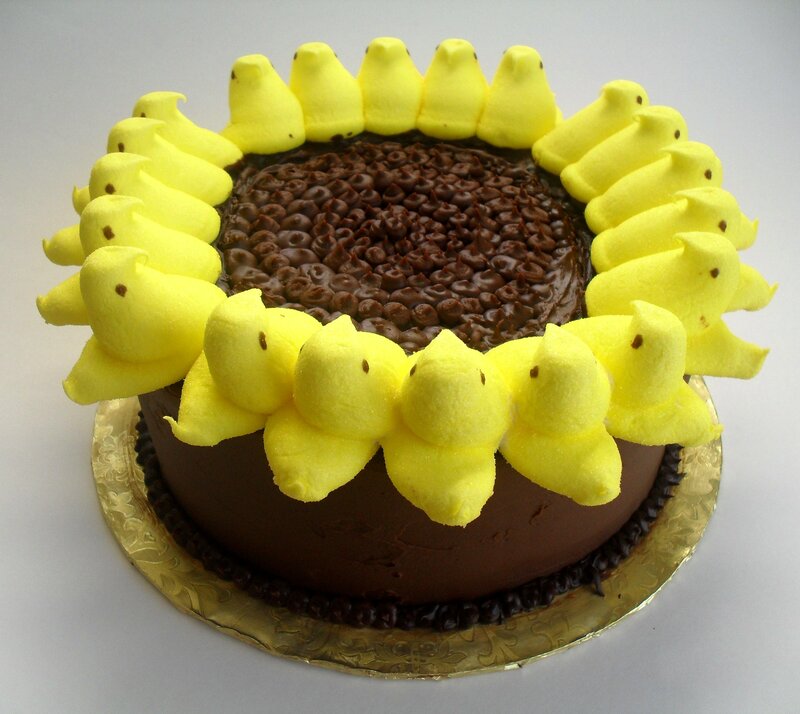 Sunflower Peeps Cake & Fudge Frosting Recipe. I love this idea for an Easter cake-it’s so cute! 7. Soft Caramels. LOVE these. 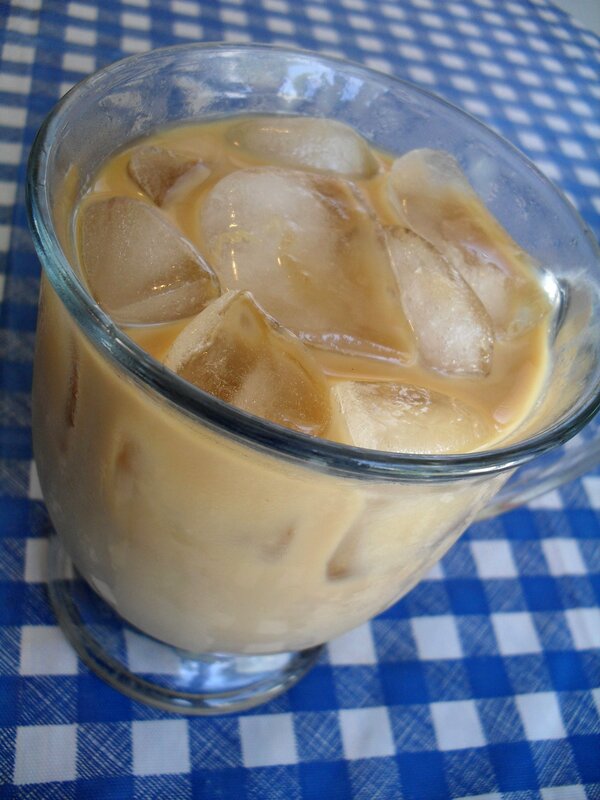 So good, and fairly easy to make. This photo was the first that Foodgawker ever accepted from me and I remember how excited I was! They haven’t accepted many since and I’ve finally given up (for now). I haven’t sumbitted anything for almost a year! I’ll try again when I get a better camera. 6. 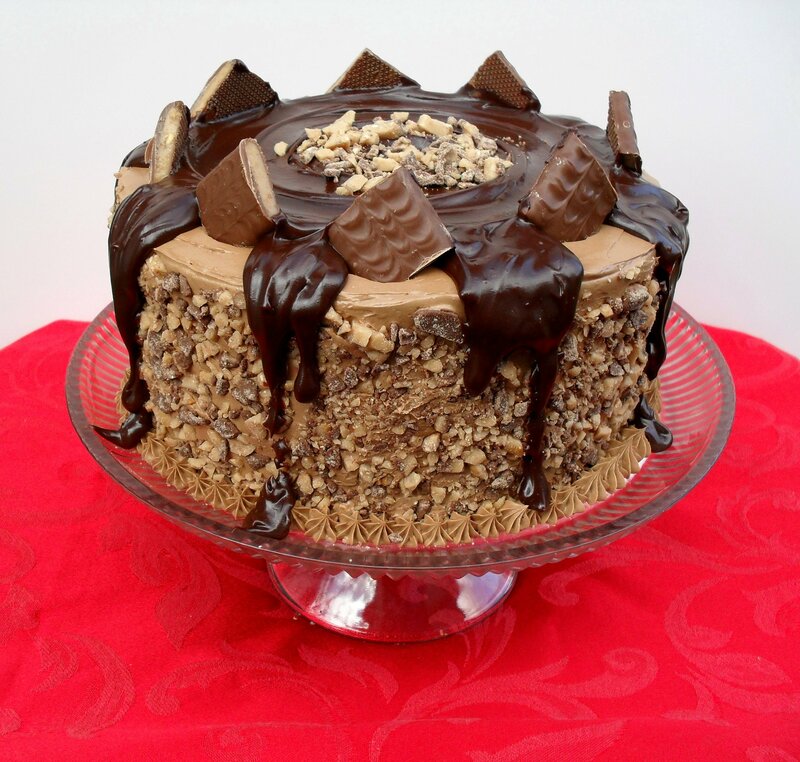 THE Mocha Crunch Cake. My favorite cake! 5. 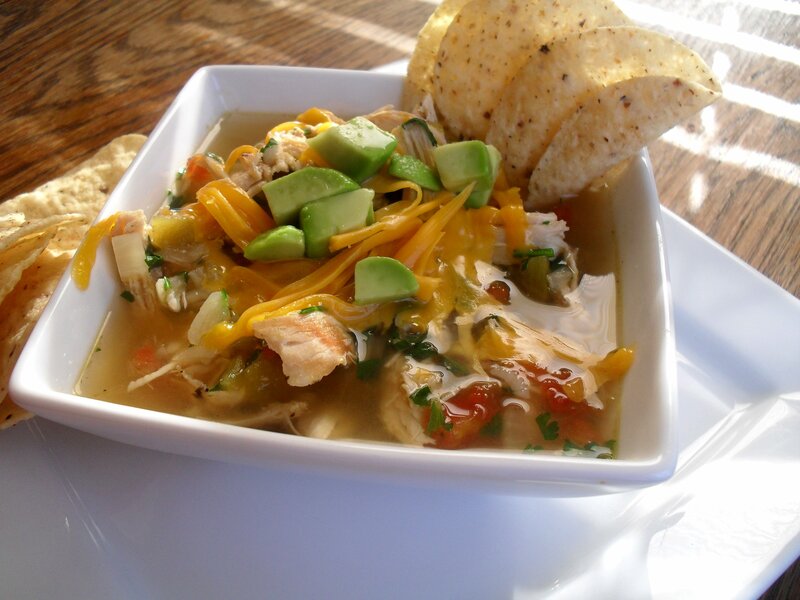 Green Chile Chicken & Lime Soup. This is one of my all-time favorite soups, and I’m glad you like it too! 4. 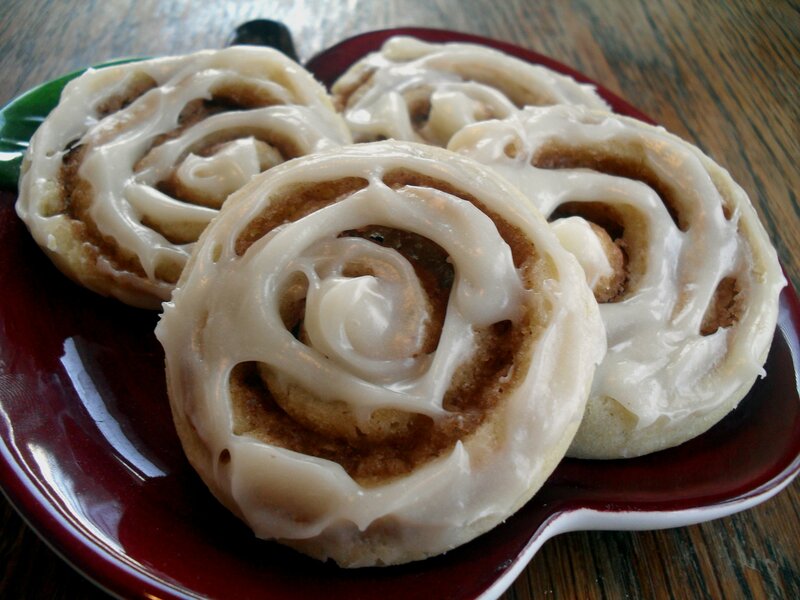 Cinnamon Roll Sugar Cookies. These babies won me first place in the “refrigerator cookies” class in last year’s fair and although they are pretty involved for a cookie, they are so worth the effort! FYI: the sour cream sugar cookie dough in this recipe also won me second place in the sugar cookies class! 3. 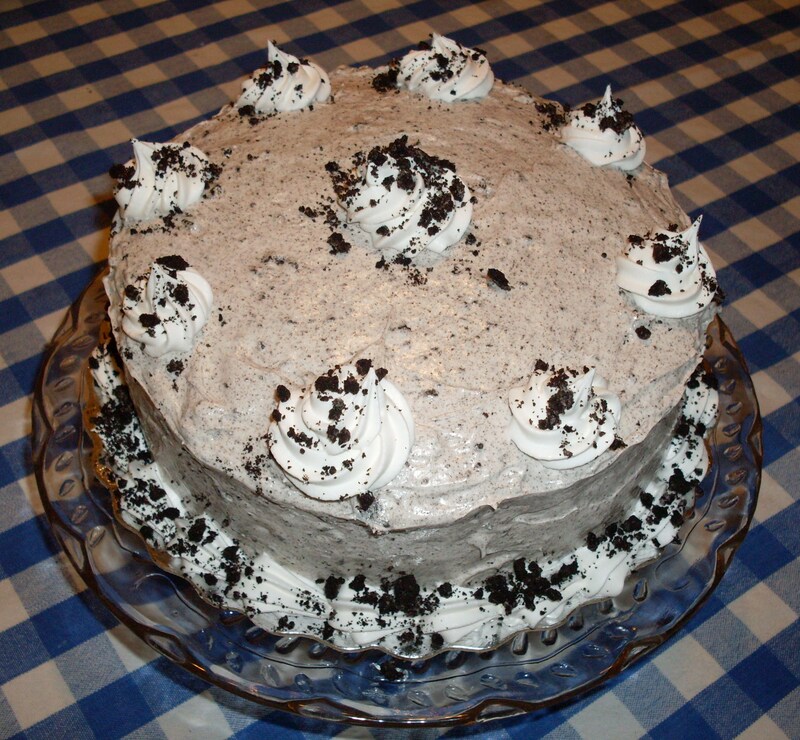 Cookies ‘n Cream Cake. Oh, how I hate Oreos (yeah, I’m a freak), but oh, how I love this cake. It is just incredible, and so easy. 1. For the second year in a row, Cake Pops earns top ranking with you guys! This cake pops post is responsible for a third of my total views, which blows my mind. When I posted this tutorial, I had no idea it would become so popular. Ready for my top ten? Here we go, my favorites from the past year. Update: the giveaway below is now closed. Congrats to Rani!! If you made it all the way to the end of this post, I’m going to make it worth your stamina! :) In celebration of my second blogoversary, I’m giving away a $50 Amazon gift card. To enter to win the gift card, just leave a comment telling me what your favorite post was, or what you would like to see on my blog in the future. Comments that don’t include this won’t be counted for the drawing. Giveaway is open until Thursday, November 17, 2011, at 10 PM CST. I will draw a winner using random.org and announce the winner on Friday. Good luck! Posted in Announcements & Awards. Bookmark the permalink. Good idea! I know I already have some that could be frozen so I’ll put them to the test and create a new category in my recipe index for those. It will take a while, though! HAPPY BIRTHDAY to you! How fun to see all these amazing posts! 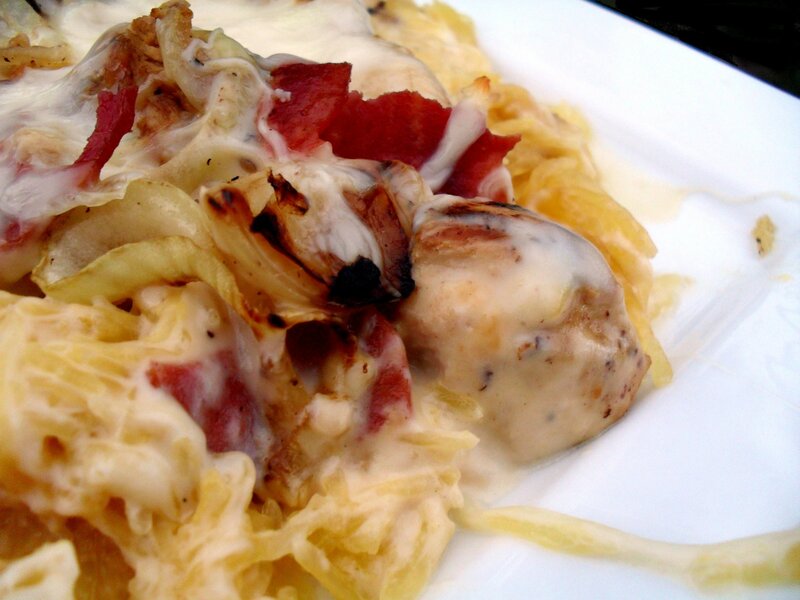 I could never decide on a favorite as there’s so……… many wonderful recipes! Those chocolate covered cherries are just incredible – I can’t believe you made them! Best wishes! Happy Birthday and Congrats! These look like some great recipes. Happy birthday! :) My favorite post is undoubtedly the Chocolate Caramel Cake, which I made for my boyfriend’s birthday a couple weeks ago to RAVE reviews. Thanks for helping me maintain my reputation as a kitchen goddess – and here’s to many more! Happy Birthday! I love your blog. Started with the cake pops, but now love your recipes. My personal favorite Trash Jambalaya. It’s easy and delicious. Keep the good work. I had to tell my husband that’s your favorite and he laughed! :) I’m glad you liked it too. Isn’t two years awesome?! I love all these recipes, I’m totally going to come back later when I am stressed from Monday homeschooling and drool a bit at those desserts! Happy Birthday/Anniversary! You have so many great recipes that I couldn’t possibly choose a favorite out of all that I have read and made for my family. One recent post that I really loved was the pumpkin, maple, and oatmeal casserole. I’m always looking for more ways to serve pumpkin because it’s such a healthy and tasty food. I have served that dish for breakfast and dessert! It’s interesting to me to see the cake pops recipe at number one! I started following your blog when a friend shared that cake pops posting! My favorite is the cake pops because THAT is how I found you. I saw a few Facebook posts in a row about cake pops this and cake pops that and the yummy cake pops people were making, so I googled it and I don’t remember if you were the first result, but you were on the first page of results and I clicked and bookmarked and I still have yet to make the cake pops, but I love your blog and the cake pops that hooked me up with it. I also love chocolate. Did you ever get my postcard? Your Kansas piggies are perched on my kitchen shelf, and they are watching the snow fall out the kitchen window and wondering how they were ever so lucky to be sent to Siberia. Lol, thanks for blogging and brightening my week. Happy anniversary. Becky, I just got your postcard a couple days ago and meant to email you. Thank you! It is so special to me to get one all the way from Russia. Glad you’re taking care of my KS piggies for me. haha! I would have to say the cake pops. I’ve made them many times since for birthdays and a baby shower. Congrats on two years! I am so glad you decided to undertake this blogging business! I love your posts! I love finding someone who is as crazy about food and cooking as I am. I would have to say that I have two favorite posts – the chili dog casserole, and the red velvet cake. But truly all of your posts are wonderful! They are inspiring and mouth watering! 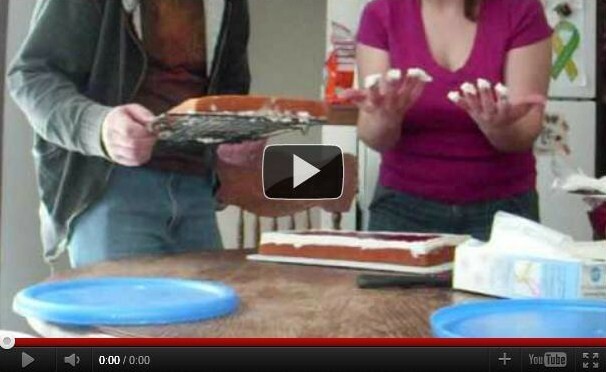 I know we talked before about me wanting to see step by steps on frosting a layer cake. That’s something I cannot do and definitely I need baby steps! Cool, I wasn’t sure how close it was to Cracker Barrel so I feel even better about it now that you said that. So glad you liked it! It’s not a single post, but I really appreciate your Thankful Thursdays. It makes me more mindful myself, of how blessed I am. Happy Anniversary! and many many more. My favorite post was the chocolate covered cherries, I looooooooooooove them , now I can make my own!! Congratulations!! I think “Life with Dennis Miller” was one of my favorites too. I remember laughing so much when I first read it. I also liked that one with your sisters where you shared that picture of you guys swimming . . . or something . . . I can’t quite remember what it was about, but I remember being thoroughly amused. And the instructional post on how to dye your hair with henna–that was awesome. I just put your chicken lime soup thingy on my list to make in the near future. I love your recipes! Oh yeah, the one about our skinny dipping going wrong and Dani having to go back to camp naked. hahaha, definitely a favorite of mine too-I just forgot about it! Veronica, HAPPY BLOGSOPHERE Day!!! Now, do you really need to ask me what post of yours I enjoyed the most – of course it was the Postcard Project! Not only did it have a delicious Chocolate Chip Cookie Recipe it promoted activities to not only touch a person day by bringing a smile to their face with a snail mail card sent to them BUT it also helped the post office by promoting the sale of stamps. Yes, that is my favorite – excuse me, I must go to my freezer and get a few delicious cookies from Kansas to pop in the microwave to make them oh so gooey and delightful!! Keep up the good work, Veronica, I enjoy your blog sooo much. 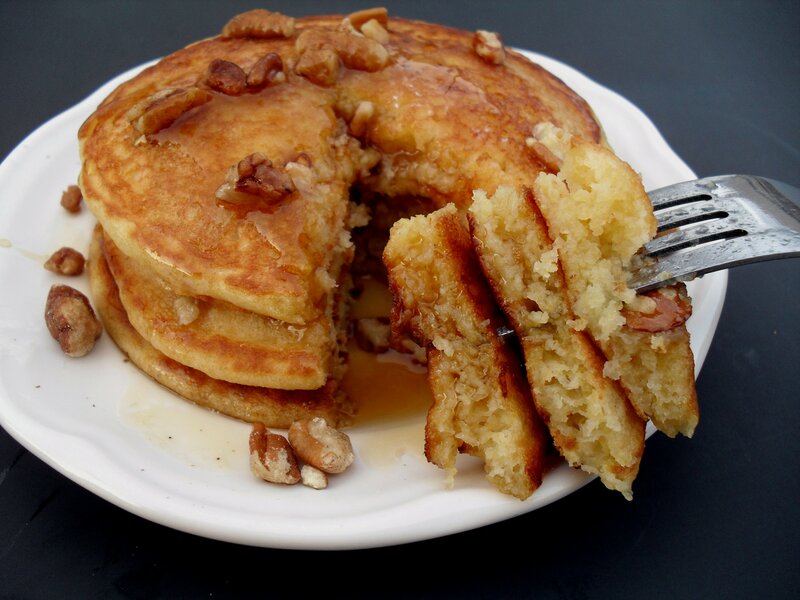 All those recipes bring back delightful memories :)) The cornmeal griddle cakes are calling my name….. Happy Blog birthday!!!!!!!!! Oh so many wonderful recipes so much great food!! droooooollllling….. I just found your blog today! I found it via your friend Laura at The Cooking Photographer. 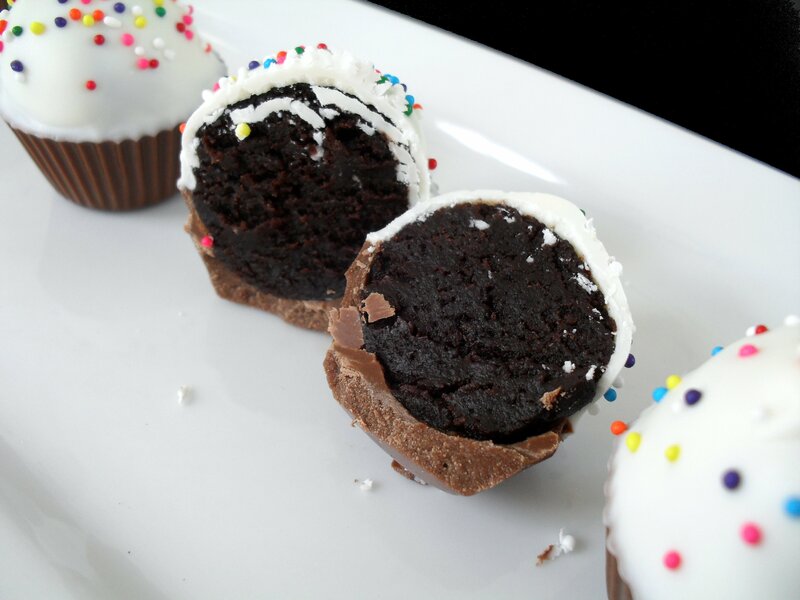 I love the Oreo Truffles post–I’ve added it to “the list” for my cookie baskets this year. And I’ve added your blog to my regular list for food inspiration. Thanks for the wonderful eye candy…and real candy too! Hey fav food lady … love your Thankful Thursdays … non food post had to be the live with Dennis … loved that pumpkin bread (can’t remember the name of it, but made Christmas gifts for the neighbors and they LOVED it .. you know with the pumpkin pudding that I could not find and you so generously sent to me and introduced me to the grated nutmeg; oh and after Thanksgiving I finally found the pudding and bought a dozen boxes and put them in the freezer!) … and all the wonderful dishes you put on the blog. I have used half a ream of paper printing these recipes off. Finally decided to just save them on computer and then print it when I actually use it. Happy Blog B-day! My favorite post was your karoake singing like Shania Twain! You show how much fun you’re having through your great facial expressions! Keep on bloggin’! I’ve enjoyed making some of your recipes. My favorites that I’ve made are the peanut blossom cookies and the chicken ranch tacos. Many of your recipes are on my to do list and I look forward to making them! Congrats on your 2 year anniversary! I love reading your blogs! I really did enjoy reading about your fair entries and ribbons. 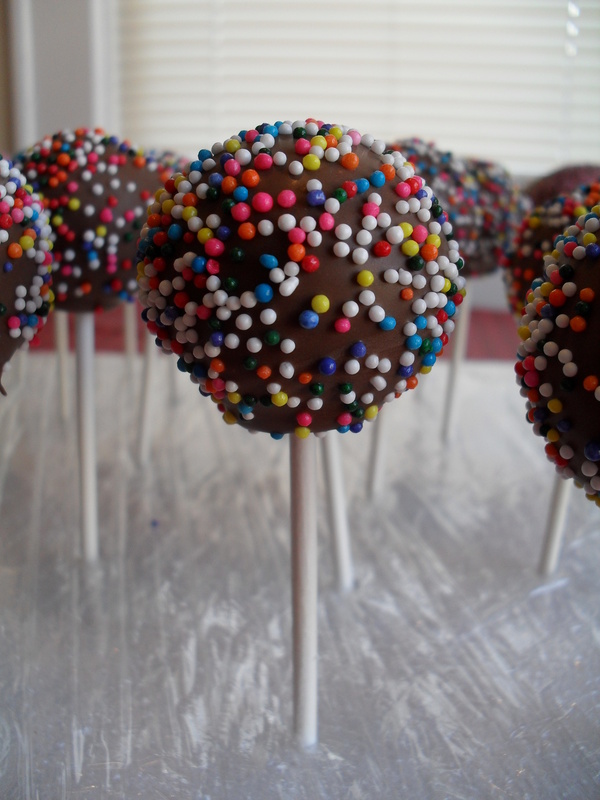 Thank you for taking the mystery out of making cake pops and giving your tips and suggestions. My grandchildren are very appreciative! What a great round up Veronica! 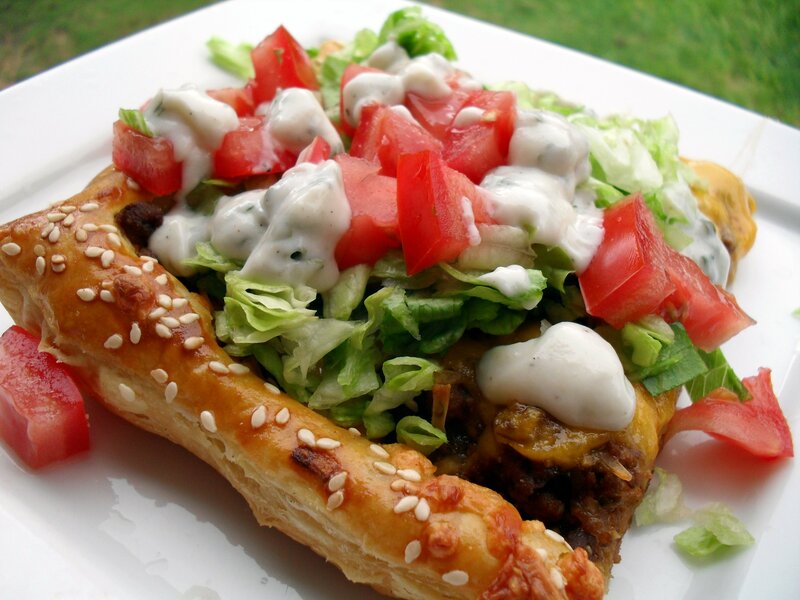 I’m seeing some pretty awesome stuff that I need to make…like cinnamon roll cookies and cheeseburger pie. Congratulations on 2 years! Happy Blogiversary and congratulations! Your raw double chocolate brownie bites looked divine. I serendipitously subscribed to your blog when I was looking for a recipe to make cake pops for my baby shower (The cake pops were a hit, btw! No wonder they were #1!). Since then, I have loved reading your recipes and other posts daily. 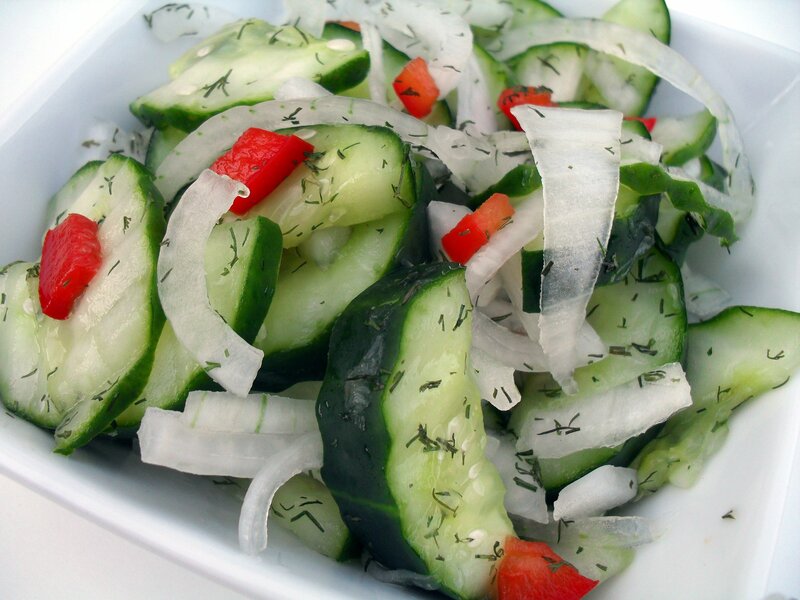 All of your recipes are super simple and super scrumptious! Some of the recipes I’ve tried are the Cranberry Chicken, Banana Pepper Roast, and the Caramel Apple Cider Cookies. All delish! My husband and I thank you! Happy Blogiversary! I found your blog by chance while goggling those absolutely adorable ‘cake pops’ & so glad I did :} I also printed out the recipe for Green Chile Chicken & Lime Soup which I cannot wait to try as I never get tired of soup living in Seattle – Thanks so much for sharing your incredible talent! amazing collection of goodies you have put on, you truly are an astounding cook and baker (and a fun and lovely person). I liked the mini cupcake cake balls post the best (as many others did). I think those are super creative and look so well done. Plus, I am really into cake making. I think it would be interesting to see a post on your top 10 favorite ingredients and what you like to use each ingredient in the most! I know that is kind of random, but it could give you ideas for more posts! 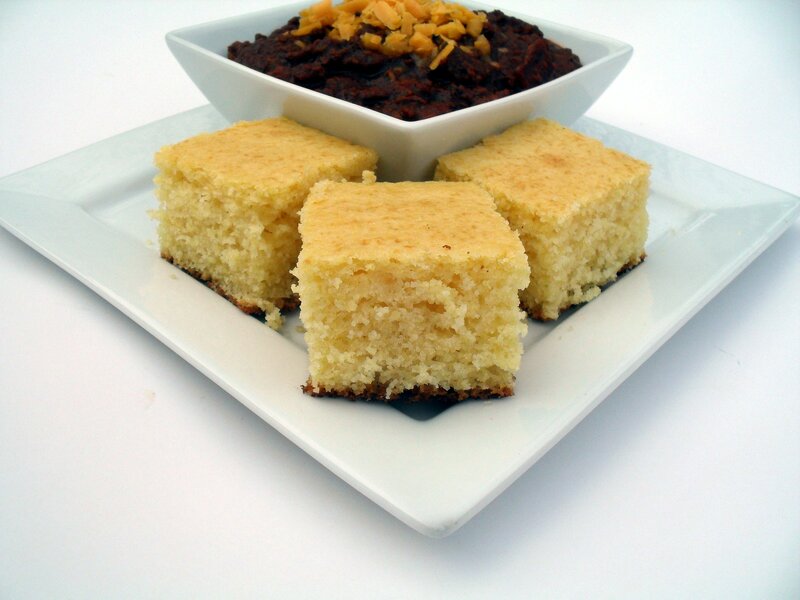 I have tried several recipes and everything has been a “keeper” Out of the top 10 so far I have made the Cold Brewed Iced Coffee, The Garlic Chicken & Bacon Spaghetti Squash Alfredo, and the Chorcolate Sheet Cake. All were WONDERFUL! What I’d LOVE to see you make is “Bierocks.” I lived in WIchita KS for 3 years and every morning I hit the local grocery chain and buy one. It was my breakfast :) I ate them 5 days a week. LOVE them. I now live in Houston, and dissappointed that being in the strong German community I live in that no one makes them. My favorite post is the cake pops! I love making them with my daughters! And I love seeing your yummy recipes! Love the cake pops and want to try them in “cupcake” form as soon as I get the right mold. fun stuff. I am new to your site, but I am amazed by your cooking talent! 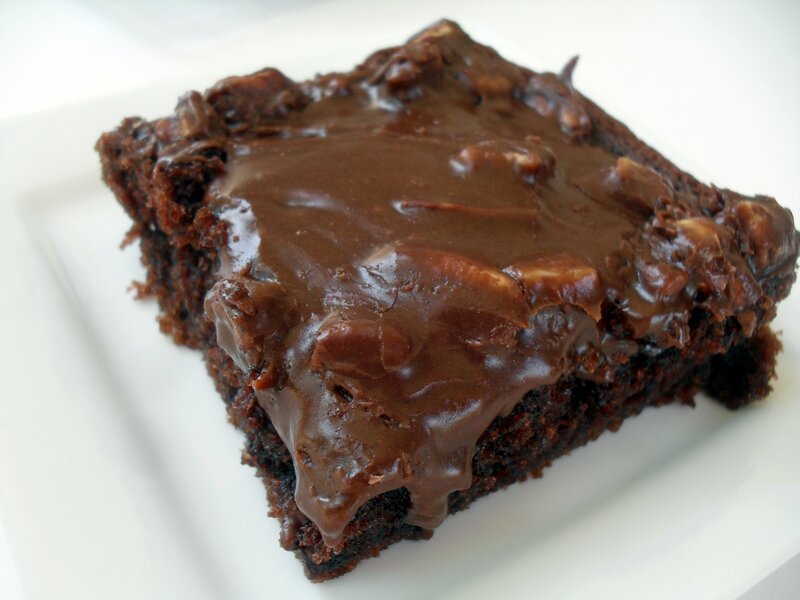 I’m making your chocolate sheet cake tonight, wish me luck, I’m not so good with baking; I’m more of a cook! I would like to see you put more online about yourself! We know you love your family & hubby, but I’d like to know more about you! Just a thought from a new follower. 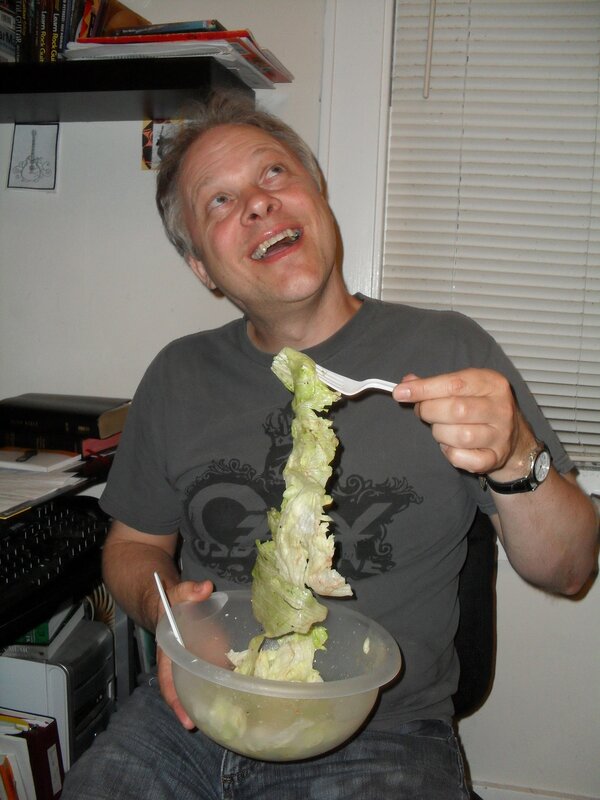 Keep up the great recipes, yours are truly the best! P.S. 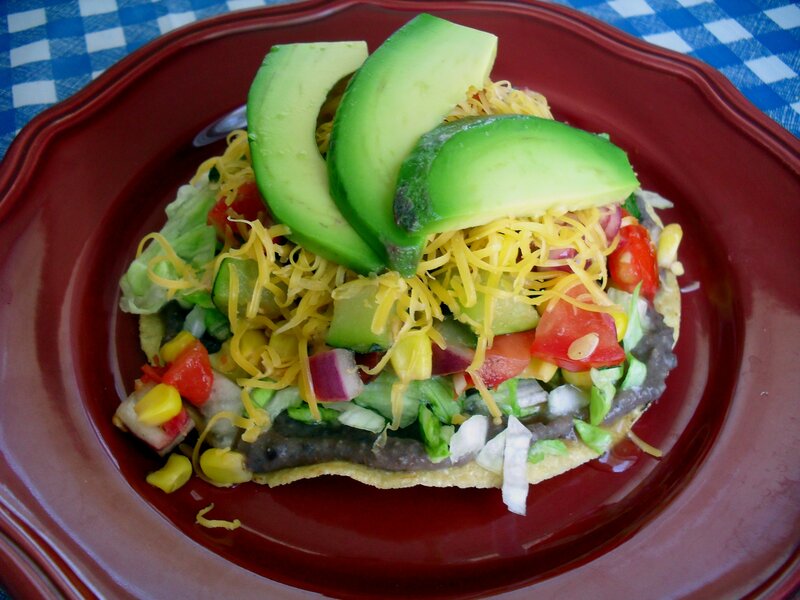 My favorite recipe SO FAR is the chicken ranch tacos! My hubby wants them every night!